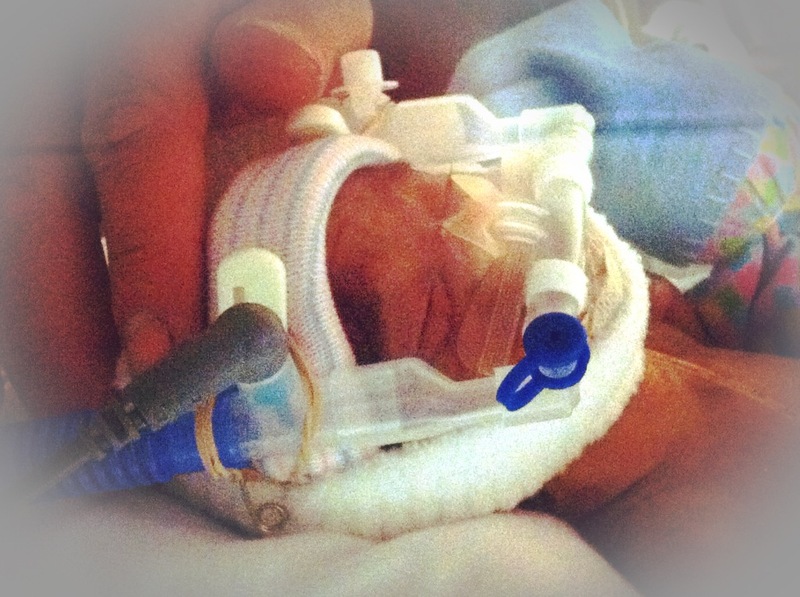 In our October edition of our Preemie Family newsletter we learned about the handsome Joshua Drake McCormick, a preemie born at 26 weeks, who was 2 lbs. 10 oz. at birth and spent 129 days in the NICU. Read more in an update by his mother, Jenny. On May 31, 2012, at a routine doctor’s checkup, my nurse practitioner couldn’t find my baby’s heartbeat. I was rushed via ambulance to the nearest hospital where I was prepped for surgery. Within minutes, a crash C-section was performed and Joshua Drake came into the world 14 weeks early, weighing 2 lbs. 10 oz and measuring 13.5 inches in length. It was the first time I heard the term, “micro-preemie.” Seemingly everything was taken out of my control; my impossibly tiny child was surgically removed from me and was no longer in the safety of my womb. Like all preemies, Joshua was born into this world in critical condition and remained so for months. Nothing in my motherhood bag of tricks could ever prepare me for this terrifying journey we were embarking upon. Because my body was still recovering from surgery, I wasn’t able to see Joshua until 2 days after he was born. Every single part of Joshua was underdeveloped and fragile. At first sight, my instinct was to wrap him in my arms and protect him and yet, caressing or touching him gently would have physically hurt him. It would be 6 days before he felt the love and warmth of being held skin to skin with me. On his second day of life, a doctor rushed into my room at 0530 waking me up and asking for consent for an ultrasound as his little brain hemorrhaged. Later that day, we learned that he had a grade II bleed on the left side of his brain. 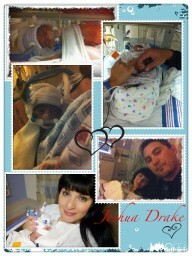 It would be Joshua’s third day of life that made me realize how grave his situation was. As I was released from the hospital, we went to the NICU to visit and say our good night to Joshie. It was then that we were told his bleed had increased to a grade IV on the left side and now a grade II on the right side of his brain. At that point, the doctor felt the need to tell us to think about signing a DNR because “things didn’t look good.” It was the darkest of times and nothing will ever compare to the fears I felt at that moment. I walked out of the hospital that day without my son. Nothing about this birthing experience was natural, normal or fair. The next day, Joshua was transferred to CHOC Children’s where he was being monitored due to the acidosis he developed, his PDA and of course, his brain bleed, which at that point turned into a bilateral grade IV / III. When the doctors met with David & I about Joshua, we were given all the scenarios that could happen to our son due to his prematurity, his brain bleed, the PDA…they talked about distress and failure, life support, being deaf and/or blind, Cerebral Palsy, developmental delays, autism, seizures, severe developmental delays, spending his life in a wheel chair, being ventilator dependent…should he survive. All our dreams for our youngest child were put on hold. We were in survival mode. We watched our precious creation learn to survive in an underdeveloped and fragile body. From countless shots, IV’s, torturous eye exams, ultrasounds, respiratory distress, being “bagged”, surgeries…the list goes on. David & I couldn’t sleep and practically jumped out of our skin every time the phone rang that first month. It took all our energy to focus on trying to remain hopeful and to desperately believe that our youngest cub was going to come home to his brother and parents. 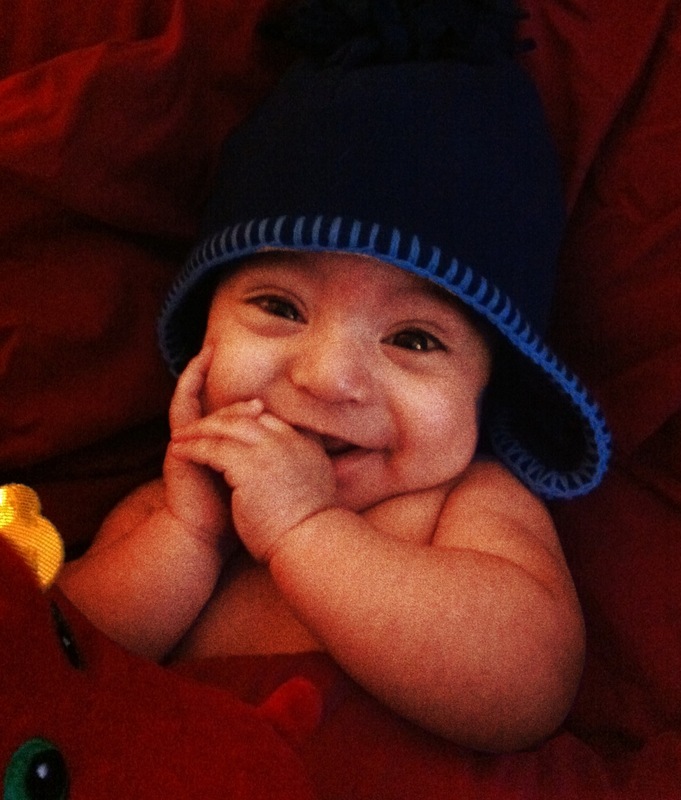 Joshua spent 129 days in the NICU. During his stay, there was no time to process. We were in survival mode. My days were spent with Joshua and leaving him every evening was torturous, and yet, I also had a toddler at home who needed me just as much. It was surreal to say the least. During Joshua’s hospital stay, he was diagnosed with metabolic acidosis, respiratory distress, patent ductus arteriosus, anemia, IVH grade IV & III (brain bleed), premature atrial contractions, abnormal newborn screen, apnea of prematurity, at risk for retinopathy of prematurity (ROP), hyperbilirubinemia, umbilical hernia and he had a gastrostomy tube PEG placement surgery. And yet, despite all of this, Joshua taught us that tenacity isn’t definable at the surface. It’s something deeper, more elusive than brawn. Even starting out weighing just 2 lbs., Joshua knew he was stronger than anyone could’ve ever imagined. Joshua is now home with his family, yet the intense need for us to do everything we can to advocate for and support our son has not waivered. His journey is far from over. He has physical therapy twice a week, and occupational therapy will be added to his schedule next month. He is also receiving home visits every week from an early developmental specialist. At this point, we understand that early prevention is the key to Joshua’s success. He is quite delayed with gross motor skills and cognitive skills. 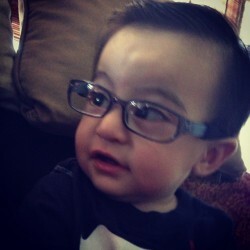 He has a strabismus of the left eye and will require eye surgery in October. He is also significantly far-sighted. But as my darling son taught me from the start, he will do things when he’s ready. Joshua is making progress every day and I get to be witness to watching Joshie learning to be “Joshie” on his own time and in his own way. This is Joshie’s “normal” and despite all that he is faced with, he is the happiest kid I know and every day I am grateful to be his mommy. This experience has also changed our family in ways that I never thought possible. I am a different mother. I am a different woman. This journey is not an easy one. It is filled with more twists and turns than I could’ve ever imagined. It’s about acceptance and letting go. It’s about staying in the present moment and holding on to hope even when the odds are not in your favor. We’ve also learned not to take anything for granted. No one is guaranteed tomorrow. With Joshua, everything is extraordinary for we have truly been witness to a miracle. And we’ve learned to rely on people. We couldn’t do this alone. Throughout this journey, we have been given “gifts in men” whether from friends, family, medical care providers or strangers; these were the ones who gave us just what we needed at just the right time…whether it be a text message, email, sharing a similar story or encouragement. Though others might not truly understand what we were going through, we knew we were never truly alone. Joshua’s early start and struggles touched many lives and we have been humbled by such love and concern for our youngest cub. Our ship is definitely on a different course than I ever could’ve imagined, but it has allowed us to see the world in a new light. I’m proud of the way we have sailed together thus far. Most of all, I am most proud of our Joshua. He held on tight enough, even through the worst of the storm until we found our way home. Thank you for sharing your story Jenny. Very well done. He is a miracle!! Terry Z. This is truly an amazing and inspiring story of a family that stuck together and saw the blessings of each and every moment of this journey.